Lilly Nails is located at the van Ijsendijkstraat 409B on the 1 st floor. We are above Signaal (kitchens) and diagonally above the Jumper, Importtoys. Do you want to know more about the stylists? Then take a look HERE . When you choose to put artificial nails, there are several possibilities. You can choose from different products at Lilly Nails. We work with gel, Acryl, Invicta. There are more than 100 colors of gel polish and we have 1001 nail art options. What is the best choice for your nails? -How intensively do you use your hands? -Have your hands a lot in water? she will advise you and help you make your choice. Choose Acrylic Nails or Gel Nails? Short nails can be made longer and the fingers can look optically longer and more elegant. Depending on your needs, placing artificial nails takes an average of one hour to 1.5 hours for a standard extension. If you want nail art, it can take a little longer. When you make an appointment, you must clearly indicate what your wishes are so that we plan the right time for you. 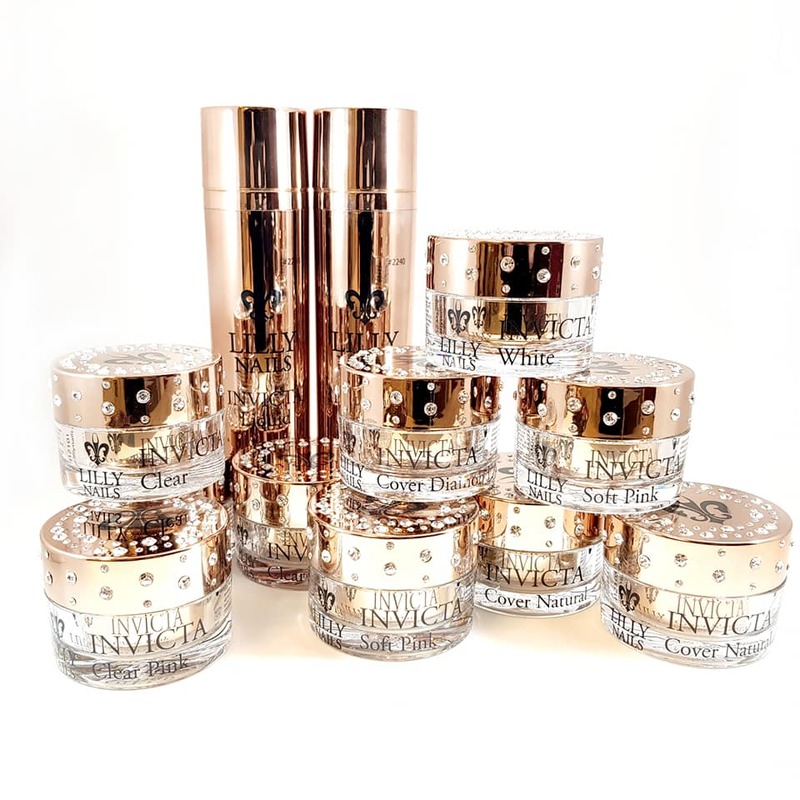 Invicta is the latest innovation in the nail industry. Invicta is a new product, a combination between gel and acrylic, strong, flexible, nice to apply. This product is a huge addition in the industry because it is odorless. It gives the flexibility of gel but the strength of acrylic and is odorless. Nail painting is passé. Always wait until the paint is dry and then also immediately damage. This is a thing of the past with Gel Polish, instantly dry. Gel polish is a lacquer based on gel that cures in the lamp and therefore remains scratch-proof for 2 to 3 weeks with a beautiful shine. Gel polish is also ideal for the natural nail to give and strengthen this color. It is a short-term treatment for the natural nail with a long-lasting result. Gel polish is also used on artificial nails and has the same long-lasting result. 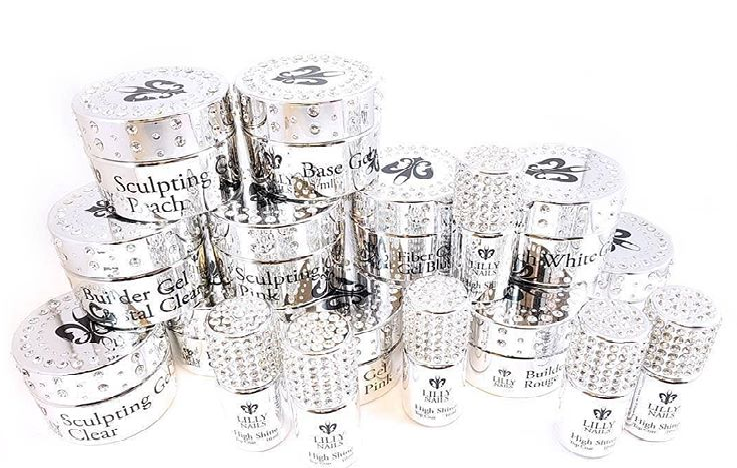 We only notice with the brand Lilly Nails, all these products are EU approved and of high quality. Hygiene is our top priority in our salon, all instruments disinfected after each client. Click HERE to immediately make an appointment.